In order to serve our clients better, new functionality is constantly being added to improve our customer portal for Secure Group customers. We want to ensure that as a customer, you can make required changes to accounts without involving support wherever possible. 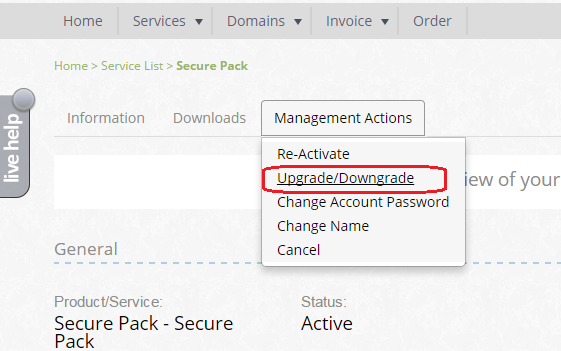 To that end, we have added the capacity to upgrade or downgrade services from within our administration portals.